New interior and exterior paint gives a home a fresh look and can add years to its lifespan. 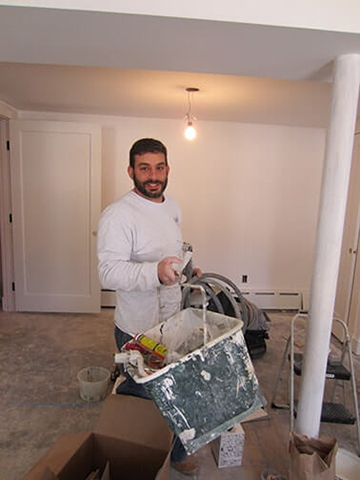 True painting professionals, like the WORKS’ house painting contractors near Marblehead, MA, know the importance of thorough preparation when embarking on a paint job and remain engaged throughout the process, from comparing paint samples to ensuring thorough coverage to the final cleanup. Whether it be a historical home on the North Shore or a newly purchased home, WORKS Painting will complete the painting project on time and on budget. The trick to a superb paint job is extensive preparation. Our painting contractors rise to the occasion by helping you choose colors that hold up against changing sunlight and fit with the surrounding rooms or landscape. Before color is applied, we clear the area, make necessary repairs, clean and sand surfaces, and apply primer. Whether we’re painting houses, garages, new additions, or renovations, the WORKS difference is clear in the core values our painting contractors bring to every project. Expertise: With years of experience, we can offer advice on how paint colors will affect not only the look but also the atmosphere of your home. 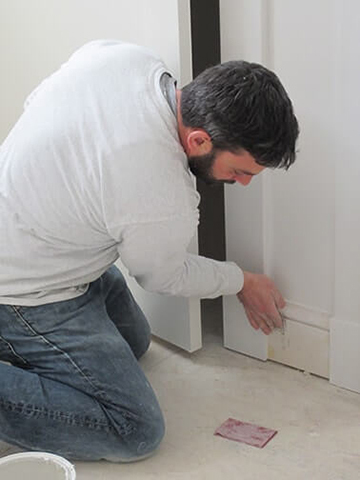 We have the knowledge to make sure that paint adheres to problem surfaces, and as general contractors, we know how to fix underlying problems that must be addressed before painting. Professionalism: Once we are clear about your vision, we paint your home with the least inconvenience to you and your family, working around your schedule and within your budget and leaving the work area pristine when the project is complete. Open Communication: Through Buildertrend, our project management system, you can watch from any location as your home is revitalized with new paint, and you can consult directly with our team over the internet, email or phone. Proud Reputation: Our clients have praised our work time and again, with testimonials that indicate the depth and breadth of our reputation in the community. 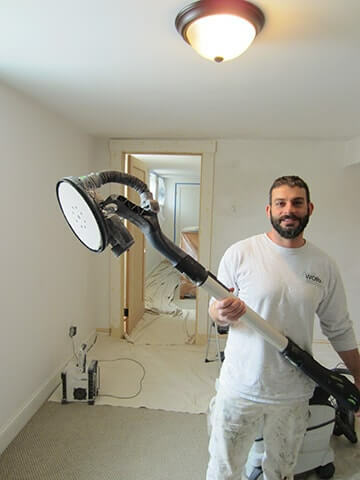 If you’re ready for us to start on a paint job in your home, call 978-360-2710 today!